A capacitor is a static electricity storage device used in almost all electronic devices. Capacitors store electrical charge on plates separated by an insulating material called a dielectric. 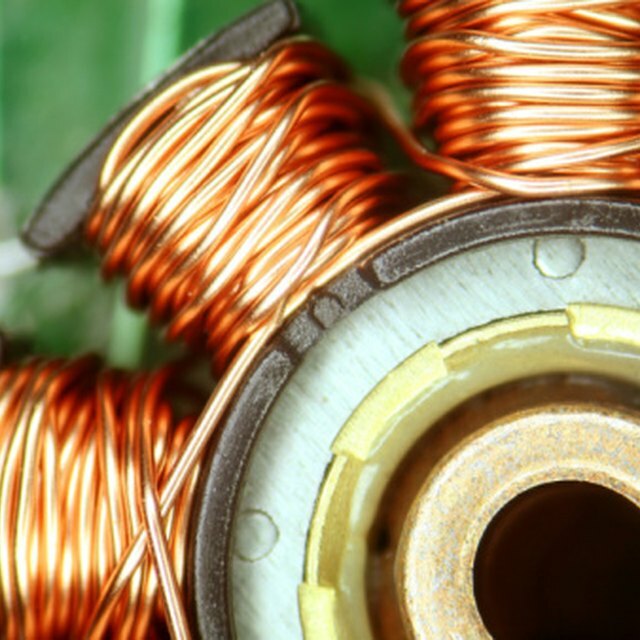 A simple and relatively safe capacitor can be made from common items found in the kitchen. The key factor for successful construction of a paper-foil capacitor is ensuring that the rolled aluminum foil plates sandwiching the dielectric do not touch each other. Cut two strips of aluminum foil 3 inches wide and 36 inches long. Cut two strips of wax paper 3 1/2 inches wide and 37 inches long. Lay one strip of wax paper on a flat surface. Layer one strip of aluminum foil centered on the strip of wax paper. Tape an unbent paper clip to the strip of aluminum foil, overlapping the top right edge of the strip of aluminum foil by 1 inch. Layer a strip of wax paper centered over the strip of aluminum foil. Layer the second strip of aluminum foil over the second layer of wax paper. Tape an unbent paper clip to the strip of aluminum foil, overlapping the bottom left edge of the strip of aluminum foil by 1 inch. The paper clips should be at opposite ends and pointing in opposite directions. Roll the layered strips carefully and tightly from one end to the other. Wrap tape around the roll to prevent the paper/foil from unraveling. Light a candle and drip the melted wax on both ends to seal the capacitor ends. The paper foil capacitor is now ready for charging; use the two paper clips as leads to connect to a battery. The most common error in constructing a paper foil capacitor is allowing the two layers of foil to touch and short circuit each other. Ensure that the wax paper layers are slightly wider and longer than the foil layers and that while rolling the paper/foil layers, the foils do not touch. Capacitors can store a lethal amount of electricity. Touching both leads with your hands will discharge the capacitor and deliver a painful shock. Stand on a rubber mat for protection while handling a charged capacitor. Boyer, Timothy. "How to Build Your Own Paper Foil Capacitor." Sciencing, https://sciencing.com/build-own-paper-foil-capacitor-8478617.html. 24 April 2017.